Starting GPS Co-ordinates: N51 32' 60" W001 52' 40"
Finishing GPS Co-ordinates: N51 32' 90" W001 50' 80"
This remarkably straight byway is like a fair few others in this forgotten corner of Hampshire. 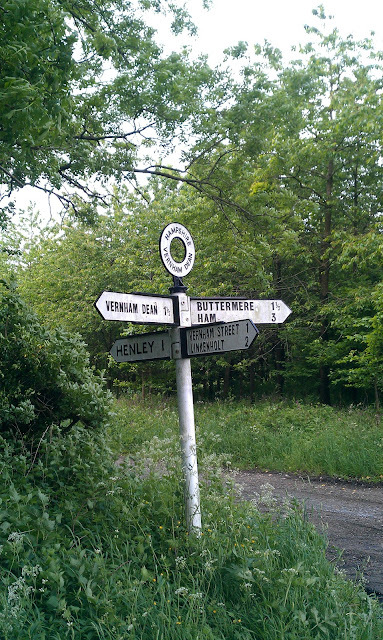 Some roads in this area appear on the Ordinance Survey map at least as normal country roads, but many have never actually been covered in a layer of tarmac despite the fact that they are not classified as a byway. They are as such ripe for exploring. Rookmoor Lane is one of these unsurfaced lanes in a network of similar lanes near the Hampshire hamlet of Little Down. There really isn't a great deal to say about this lane when it is taken in isolation. Instead, it should be driven at the same time as Heath Lane. We drove it from west to east. 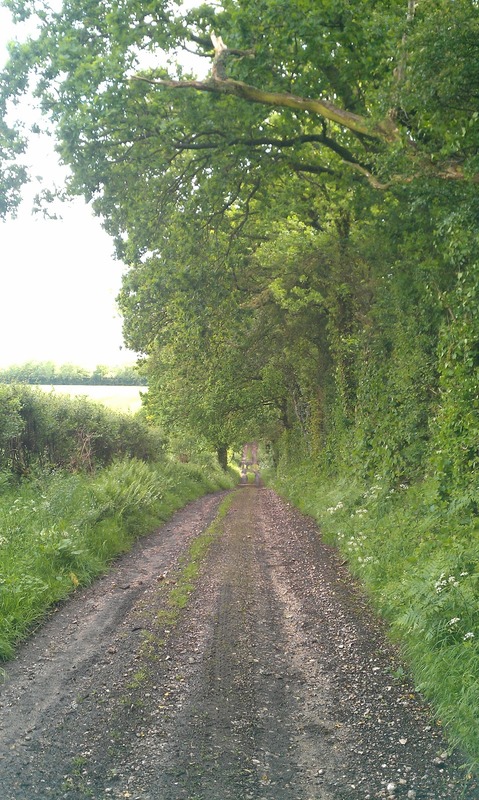 Starting from a country road called Bowers Lane this wide, well-maintained byway proceeds on a well-drained surface of crushed gravel and mud almost due east. Rolling gently up and down undulations in the terrain, this short lane soon ends at a crossroads between it and Heath Lane, demarcated by a typical Hampshire sign post. The vast bronze/iron age hill fort of Fosbury Camp is just to the west, over the border in Wiltshire and well worth the short trek uphill to visit, not just to satisfy historical curiosity, but also for the incredible views it offers across gorgeous rolling downland.